"As an owner and registered vet nurse I highly recommend nutrabio for digestive support. I have tried many similar products but nutrabio is the only one my dog will take happily (so happily he gets excited at the sight of the syringe!). It's the most effective digestive support product I have tried, I always try to keep one in stock in case of digestive upsets. I have also had very good results using nutramega for skin support. My dog developed flaky skin on his ears a little while ago, I tried nutramega and it cleared up completely. Thank you nutravet your products are brilliant." 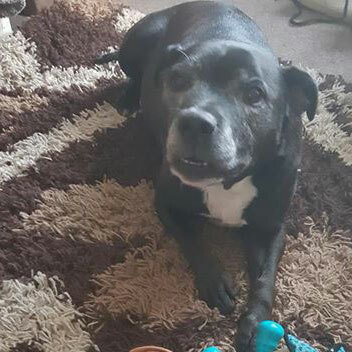 "I'm seeing amazing results from nutraquin+ with my 10 year old Staffordshire Bull Terrier. We are only half way through the 6 weeks loading dose and as a vet nurse myself I highly recommend these." "I’ve been using nutrahoof on my old pony for 2.5 weeks and have noticed a huge difference in that short amount of time. 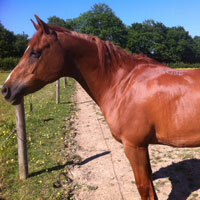 Even the farrier has commented on the results I’m really happy!" "I'm a vet, so when Possum started licking his paws aged 3. I started nutramega right away and the licking stopped. I stopped the nutramega just to test it and the licking started back up. We occasionally forget to give him his capsules for a couple of days and he soon reminds us by licking again. The link couldn't be clearer. I'm very lucky as Possum's allergies have stayed very mild, so he almost never needs anything other than daily nutramega and a good diet. I'm so pleased we have an MSC approved, UK made, environmentally conscious, affordable product that keeps my dog comfortable and contains the active ingredients it says it does! It's the only skin supplement I recommend to clients. I trust it completely." "The first time I used nutracalm was New Years a couple of years ago. Wombat (who'd developed a firework phobia) was given his capsule, but then I was called out to an emergency (I'm a vet). I left my wife strict instructions and when I got back just after midnight, Wombat was relaxed & happy to see me. He was so relaxed on nutracalm, I couldn't believe it! I've recommended it & used it with my patients ever since. By far my favourite anxiety supplement. It's also allowed us to work on Wombat's desensitisation so he now doesn't need anything." 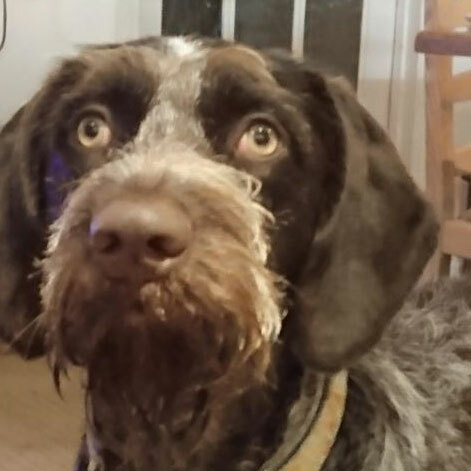 "This is Gertie, a German Wirehaired Pointer whose mummy is the Manager of Tenby Vets. nutracalm is very popular in our practice. And it works!" 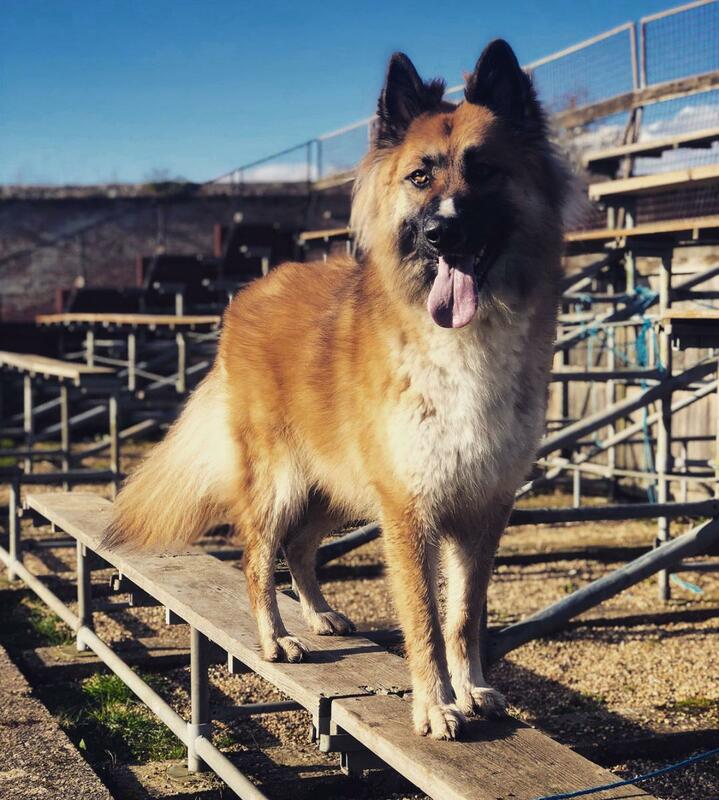 "Our 3 year old Malamute X Shepherd, Rook, has suffered from itchy skin and a scurfy coat since he was a year old. We tried food trials, allergy testing, steroids and strong antihistamines to try and keep him comfortable, but with him being so young we were loathe to keep him on the medication long-term. I've recommended nutravet products in practice to clients but never treated one of my own pets with them, so I took this as an opportunity to see how effective they could be first-hand. I reduced and eventually completely stopped the medication and replaced it with nutramega and, as the weeks went on we noticed a huge improvement in his skin, coat and comfort. Since we have been using the nutramega his skin has been wonderful and his coat is shiny and sleek again. I would recommend this product to anyone with a dog with similar issues and who would prefer not to use conventional medicines." "I have used nutraquin+ now for a few years and found it to be one of only a handful of products that does what it says on the tin! I have a elderly Collie with stiff joints and nutraquin+ enables her to have an active life with little slowing down when she is stiff. She takes it well and is happy getting on with my other 2 much younger dogs and is able to keep up with them all the time. I find this product does work very well with no side effects. I would always now go for the nutravet range after seeing the mobility come back in my dog." "I used nutracalm on my anxious dog over the firework period and really noticed a difference this year. As a veterinary nurse it's nice to have such a good experience using this product as I will be able to recommend it to clients wholeheartedly." 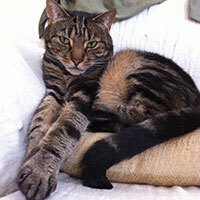 "I am a vet nurse and I have recommended nutracalm a few times but had never used it myself until Thursday this week. My little cat ruptured her bladder and went into acute renal failure 2 years ago and very nearly died because of it. Since then she has been terrified of both the vets and having her abdomen palpated. She was due her booster on Thursday and so I decided I would give her nutracalm at 9am and she had her booster at 11. For the first time since her accident she not only let us palpate her abdomen without any hint of aggression but also was the most relaxed in her pen that day. She normally hides but on Thursday she was all stretched out and you couldn't stop her from purring if she was getting attention. Basically I just want to say thank you for making my little ladies day that bit easier. I will be recommending nutracalm with even more confidence now. Thank you again. " "I'm a Registered Veterinary Nurse and by choosing nutraquin+ for my horse, I know that I have chosen a high specification product to ensure it does what it says and that includes what it says on the label. The change in my horse's comfort, flexibility and athleticism proves that nutraquin+ does its job. nutraquin+ has transformed my horse without any side effects. Thank you nutravet." 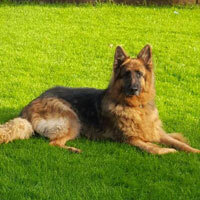 "I am an RVN, I have a GSD 8 years of age. 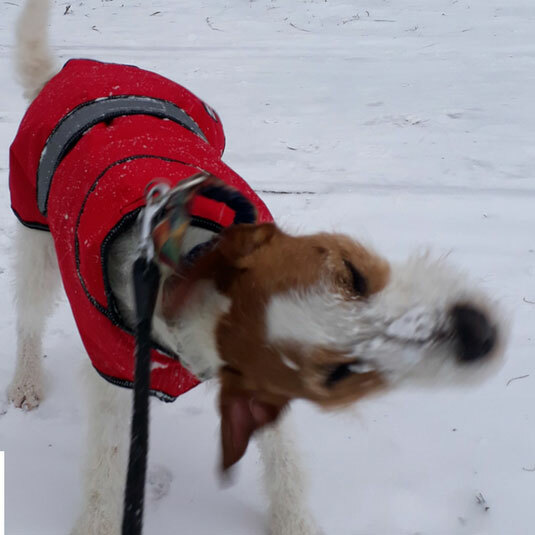 I used nutraquin+ FANTASTIC only 2 weeks in and he is loving his walks again I am amazed and couldn't recommend this product more, he eats it fine and is fussy with things added to his diet usually!!! Thank you nutravet." "Excellent highly effective products with great customer service. Highly recommended." 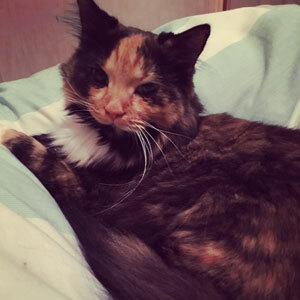 "Being a Registered Veterinary nurse I'm aware of how important it is choosing the best supplements and by choosing nutramed for my cat I know that I'm providing him with the best natural support for his health issues. The fact that my cats clinical symptoms (vomitting) have reduced since I started nutramed says it ALL. Thank you." "Just wanted to share how fantastic your nutraquin+ is. I trialled it on my 6yr old who I knew was creaking when he got up but didn't realise quite to what extent. We're only onto the second box and already he's like a different dog! It's like he's a puppy again, he's playing with his brother (and strange dogs he meets on walks which is unheard of! ), playing ball more enthusiastically and just seems a whole lot happier in himself. I will definitely be recommending this to all our clients!" "A very good company delivery quality products at affordable prices. Customer service is always very helpful and friendly. We have only had good experiences when ordering from nutravet." "Hello! Vet Nurse here - Just wanted to let you guys know I put my cat on nutracalm after he went missing for four days and was very skittish and nervous when he came back. The effect has been excellent, within a day he was relaxed and happy and even let guests to the house pet him, which he usually doesn't do. 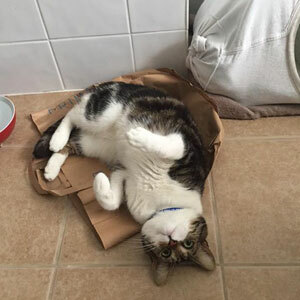 Here he is being silly on his favourite bed - a paper bag of course!" "We have had excellent results with nutracalm and its the best of its kind on the market!" "nutraquin+ is a brilliant product that we highly recommend!" "nutraquin+ has become our go-to joint supplement. 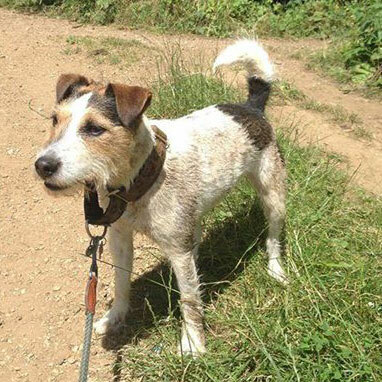 We've had some amazing results with it including Harriet - our first nutraquin+ girl who had her first proper walk in 18 months. Nearly every single client we have given it to has reported a significant benefit in their pet's. We love it!" "nutravet is a company you can trust. nutraquin+ works with high quality eco-friendly ingredients. Our clients come back for nutraquin+ and ask for it by name. It is competitively-priced with convenience to dispense boxes and blister packs. The sprinkle formulation of nutraquin+ makes it easy to administer and so improves pet and client compliance. We have always had outstanding support from nutravet with personalised staff training and excellent support materials which are also eco-friendly." "From a clinical point of view I have become convinced that nutravet have a range of products of real benefit to our small animal patients. I was looking for was a quality product at a competitive price in what is a very crowded veterinary market. I have experienced that the range of nutravet products perform well and do what one would expect them to do, and I am confident to support and explain to clients that unlike some other products what is claimed on the label in terms of active ingredient is consistently delivered by nutravet products. What I found with nutravet is a good range of products at really competitive prices." "We recently introduced this product to the practice at the request of a new client who has been using it on her 8 year old Labrador and had seen remarkable results. 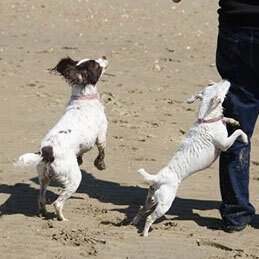 I decided to try Nutraquin+ on Dotti my 12 year old Springer Spaniel, I started off with the loading amount of 2 capsules daily but quickly dropped to the maintenance of 1 daily due to her reverting to puppy behaviour and running around like a 1 year old. I am very favourably impressed and would certainly recommend to anyone thinking of introducing a supplement to their own pet." 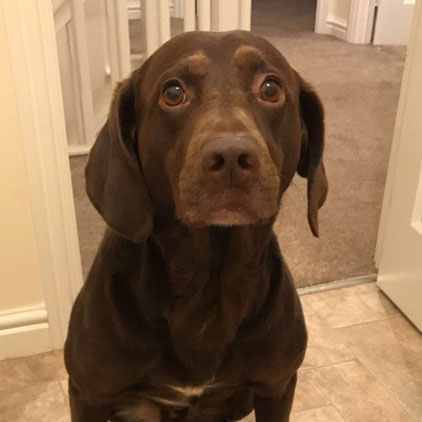 "I have had an amazing response with nutramega with a chocolate Labrador called Hershey who for months and months, had been on various products and shampoos but was just maintained and had a dry coat with patchy loss. He went on nutramega 6 weeks ago and now I barely recognise him. 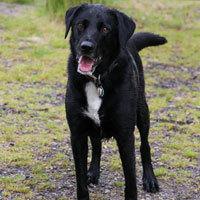 His coat is thick, glossy, luxurious and soft and fully grown back- phenomenal change and the owner is very happy. He's also off all otherproducts now - what a result!" "I would just like to say thank you. Our clients LOVE nutraquin+ for dogs, well done nutravet for developing such a great product"
"nutramed - sometimes referred to as the ‘miracle product’ by my clients! I started to see the benefits of nutramed about 8 months ago. I thought I was going to have to put her to sleep, but after discussing nutramed with our rep I decided to try her on it. She is still pottering about and will be 15 in a couple of weeks. Since then I have used nutramed for my older patients and have seen brilliant results. Rarely does anyone come back and say they did not see an improvement. In fact a few have asked if they can take it themelves!" "nutravet is a progressive, innovative company aspiring for quality, effectiveness and customer care. We have experienced effective results with their range. Each product is competitively priced in order for us to pass these savings onto clients. I like their simple recycled packaging and easy administration regimes along with excellent supportive materials for clients means compliance is high. 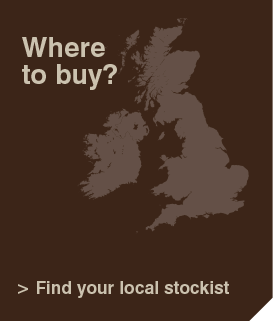 All products are supported by a friendly supportive team who are happy to assist with any technical issue. I am happy to endorse nutravet and excited to be part of their success." Austin P Kirwan M.A., M.B.A., B.V.Sc., M.R.C.V.S. "Many thanks to nutravet for introducing nutraquin+. We are extremely impressed with nutraquin+. The quality and purity of the ingredients have resulted in animals responding much more quickly than other products we have used in the past. We are happy to recommend nutraquin+. We have also noticed good client compliance and a very high percentage of repeat customers due to clients seeing tangible improvements when using this product. We highly recommend nutraquin+. nutravet are the only company in the UK who do not sell to internet pharmacies and therefore support veterinary practices only, this is another reason why we support nutravet and their product range." 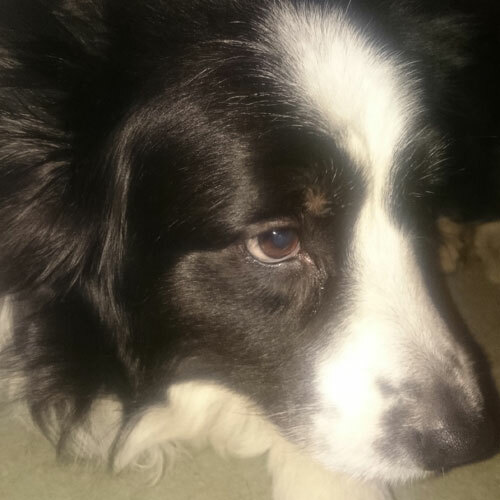 "My own dog Holly who is 13.5 years old has been stiffening up for a couple of years and showed some improvement initially with Synoquin and Seraquin but then went back to plodding slowly again. However, two weeks after starting with nutraquin+ she was trotting down the farm tracks again and now she is on her second box, she is bounding across fields again really happily - It has taken years off her! I'm really happy with the product"
"We started prescribing nutraquin and nutraquin+ over a year ago. We changed from competitor products due to the cost-effectiveness, 'green' packaging, efficacy of the supporting research material, and the ethical basis of the company. 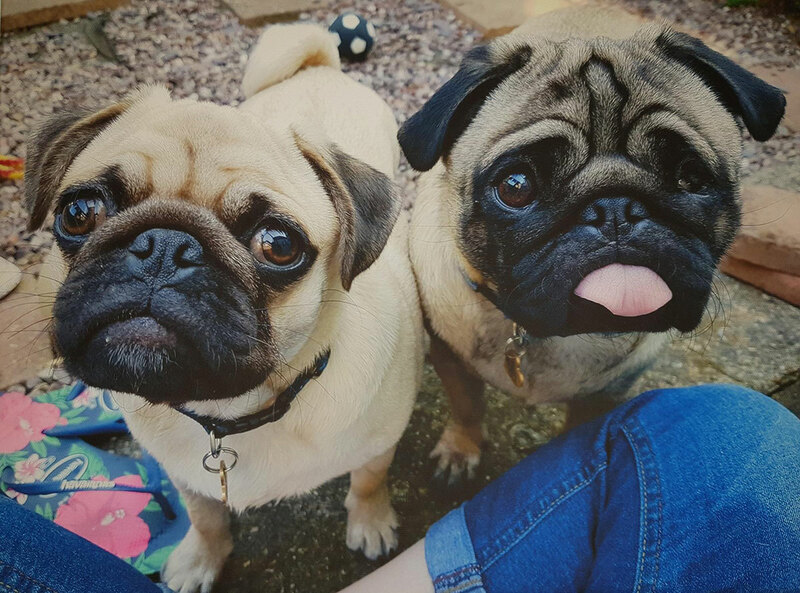 ALL our patients who regularly take nutraquin and nutraquin+ noticeably benefit from the product, and clients have all been impressed with the improvements seen in their pets. We would thoroughly recommend both the company, nutravet, and their products, nutraquin and nutraquin+"
"I have been recommending the use of nutraquin and nutraquin+ to my clients for the past twelve months. The quality and purity of these products is an improvement over other similar products on the market. Feedback from clients using nutraquin and nutraquin+ to support their pet's joint health seems to indicate that the response rate is quicker than when similar products have been used in the past. As an experienced veterinary surgeon I have been very impressed with the performance of nutraquin and nutraquin+ when used in accordance with the manufacturer's guidelines. The company have a responsible attitude towards the environment and use recycled packaging materials wherever possible." "I was made aware of nutraquin+ in 2009 and I soon realised that it did have a different angle and potentially more to offer. Having had little success with other glucosamine products in the past, I was keen to try this unique product on a variety of patients. Since the introduction to nutraquin+ we have prescribed it to a number of patients, for hips, elbows and stifles and had 60% of patients showing an improvement. I have not seen any adverse reactions and clients seem to find it easy to administer to their pets, including cat owners. I'm very happy to use and recommend nutraquin+"
"We had a good anecdote from a very sceptical conventional colleague. After being "encouraged" to try nutraquin+ for her stiffening ageing dog, by one of our receptionists who has seen excellent results with her own dog. A little while later she noticed how much better her dog was. nutravet now has another fan in the practice. Keep up the good work."